Pink and bubbly – very rarely can you go wrong, holiday season or not. Tonight, we pitted 2 rosé Champagnes against one another. Richard made dinner and these are his tasting notes. Alberto was the creative director behind the photos. 1st up - Louis de Sacy. Those bubbles are relentless. R: Light bodied with wild strawberries and interesting Provençal herbs – not lavender flowers, but lavender leaves and thyme. In a blind tasting I may have said this was a Cremant from Provence, but then again, it did have the elegance of a Champagne. 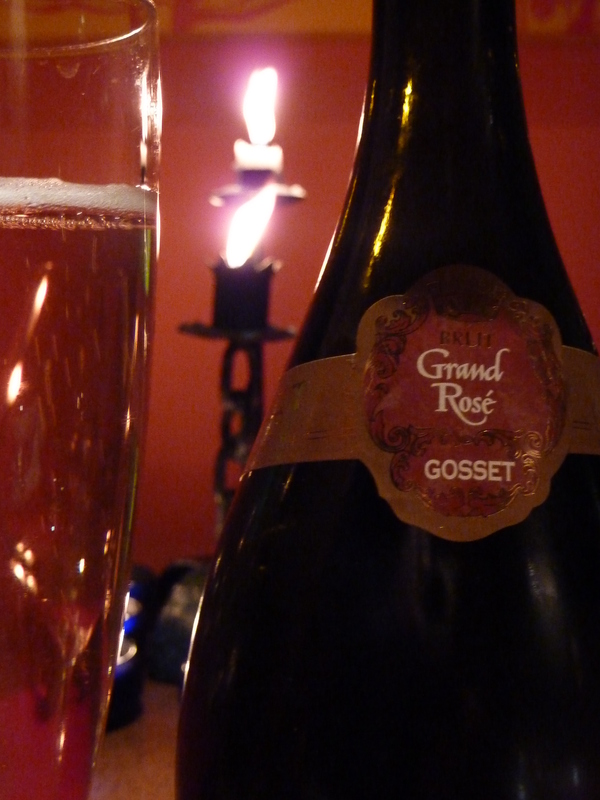 The second rosé was from Gosset. 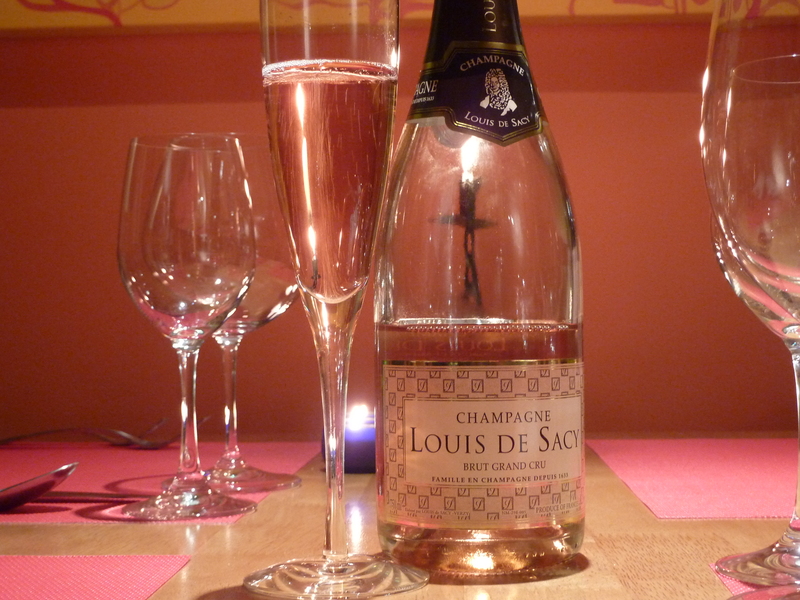 R: Slightly more full-bodied than the Louis de Sacy, this wine showed an unexpected salinity and a more crisp acidity. The salinity and the acidity were positives for me, making it more food friendly. There were some wild strawberries here, too, but not as intensely so. Neither Champagne made it much past appetizers, so debating the food friendly nature of these two could be called into question. To be fair, the appetizers were homemade gougères and a natural partner to rosé Champagne. Wow, incredible blog layout! How long have you been blogging for? you made blogging look easy. The overall look of your web site is magnificent, as well as the content!. Thanks For Your article about RosÃ© face off | A Thirsty Spirit .